Petabyte is a cloud compute consultancy firm, providing infrastructure intelligence for enterprise applications. Their team of IT architects focus on digital transformation of large and medium-sized companies, and specialize in cost optimization and performance improvement. IT infrastructure projects are Petabyte’s core-business. These include: ongoing cloud management; datacenter and application migration; operations integration enhancements; security and compliance improvement; databases migration and management; big data and machine learning servers; infrastructure for artificial intelligence (AI) Mobile devices. The Petabyte team have good experience working with ERP market leaders such as SAP, Oracle and Microsoft. A Petabyte customer faced a significant challenge to swiftly reduce operational costs. One focal aspect of their optimization target was the IT expenditure, the largest cost of which was in hosting their datacenter. Their target was to reduce infrastructure costs by at least 45%. What Douglas needed to find was a solution that would significantly reduce costs quickly and without hassle. Douglas’ first solution was to schedule the relevant instances to be reducing during non-working hours. This, however, only achieved an overall cost reduction of 15%, far below the target of 45%. Douglas quickly realized that Spot Instances were the only way to achieve the target savings. But the risks of instance terminations would seriously compromise the continuity needed for SAP applications. “We had to maintain integrity and guarantee application quality, availability, and performance,” said Douglas. “It would not be acceptable to jeopardize performance for the final users or interrupt business processes in unplanned SAP stops. During Petabyte’s search for AWS Spot Specialists, they decided to engage with Amazon Advanced Tech Partner Spotinst through RealCloud, their Representative in Latin America and both belonging to the Amazon Partner Network (APN) . Using AWS automation to erase unnecessary disks (EBS) and to delete old AMIs. 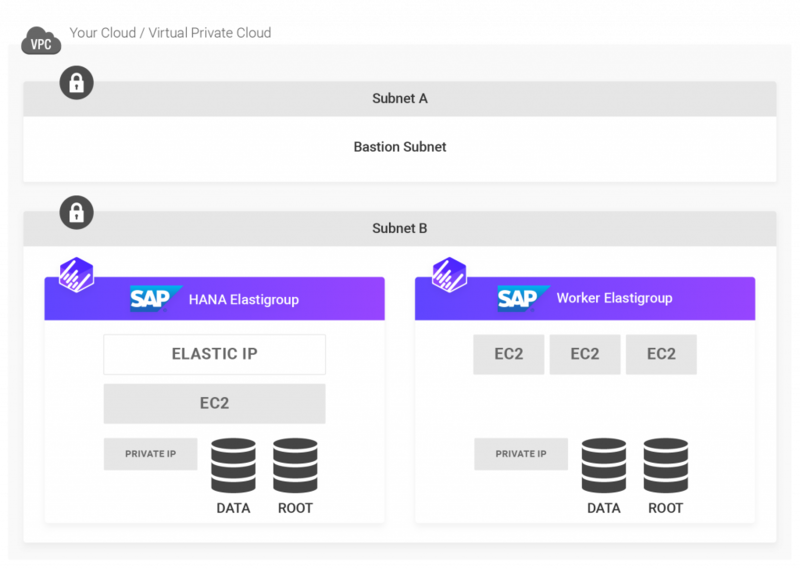 These procedures took only 21 days to implement, with all changes being executed in parallel with the running SAP production, preserving the continuity of the business processes. This meant that IP addresses, disks, ephemeral data and connections with external legacies could all be preserved during the process. 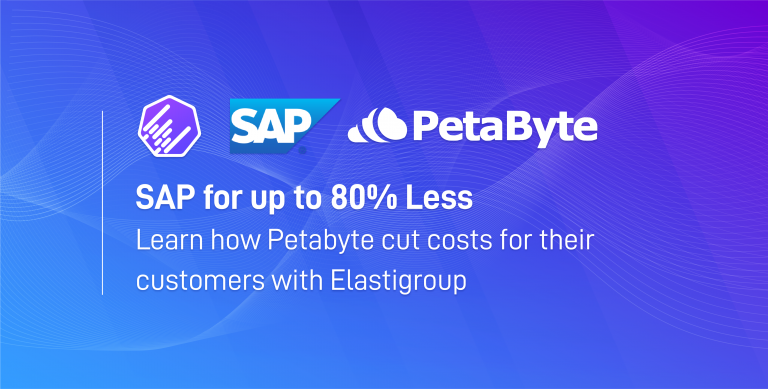 Petabyte’s customer enjoyed an infrastructure cost reduction by over 65%, the company estimating that the dual effect of the improved scaling and the use of Spot Instances will save them hundreds of thousands of dollars over the next five years.